The Scout Association is pleased to announce that a new study has found a strong link between participating in Scouting and Guiding as a young person, and having significantly better mental health. The data, from almost 10,000 individuals, came from a lifelong UK-wide study of people born in November 1958, known as the National Child Development Study. 28% had been members of Scouting or Guiding as young people. 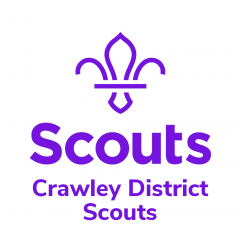 The major finding of the study was that, at the age of 50, this group were around 15% less likely to suffer from mood disorders (including depression and anxiety) than adults who had not been members of Scouting or Guiding. Despite it having been many decades since the participants had been Members, there was a clear and strong protective effect on mental health. This was present even when the researchers accounted for childhood risk factors, including mental illness being generally more prevalent in families from low socio-economic backgrounds. ‘It is quite startling that this benefit is found in people so many years after they have attended Scouts or Guides,’ said lead researcher Professor Chris Dibben, from the University of Edinburgh. ‘We expect the same principles would apply to the Scouts and Guides of today, and so, given the high costs of mental ill health to individuals and society, a focus on voluntary youth programmes such as Scouting or Guiding might be very sensible,’ he continued. The authors of the study suggest that the findings represent the benefits of learning ‘soft’ skills through Scouting, including teamwork and self-reliance, coupled with frequently being outdoors in natural environments. Scouting teaches young people skills for life, and now there is evidence that these skills can have a lifelong positive impact on one of the most important indicators of our health and wellbeing. The study was conducted by researchers at the universities of Edinburgh and Glasgow, and has been published in the Journal of Epidemiology and Community Health. If you’d like to take action on mental wellbeing, make sure your young people participate in our Community Impact campaign, A Million Hands. If you would like your son or daughter to get involved or you would like to volunteer please contact us here.